A grating is that to which you tie recalcitrant sailors before giving them a dose of the lash with the cat. A good grating is essential on any boat. I drenched the grating that came with the boat with wood treater stuff. 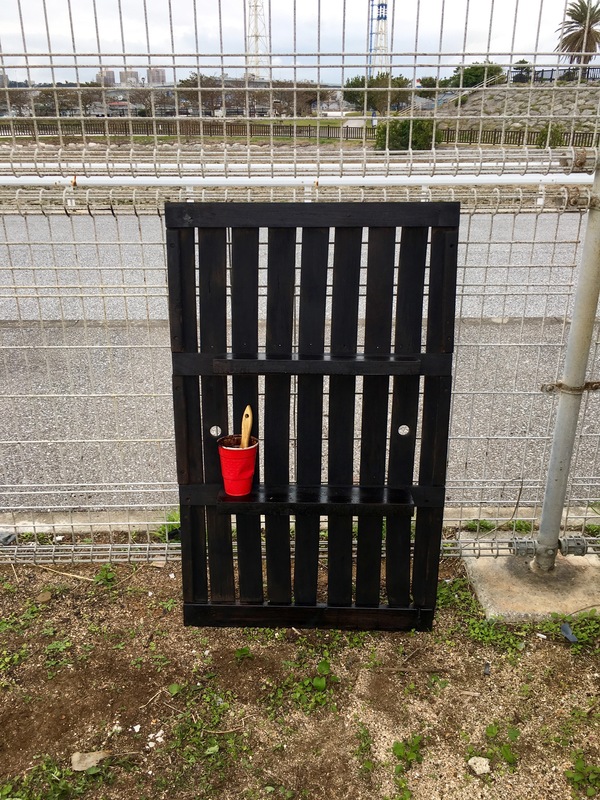 It was no good, the original grating was sun blasted and rotten, and it was clear that, if there was to be any lashing, then a new grating was needed. 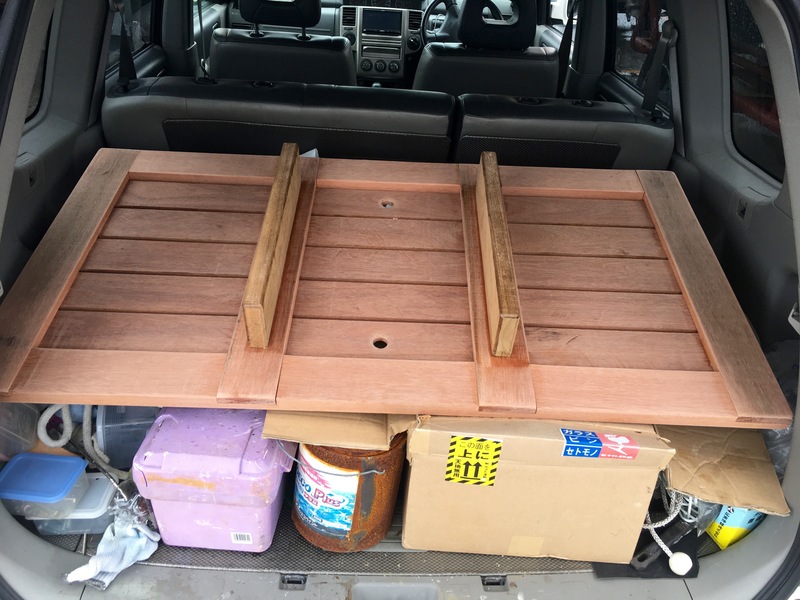 I go to my local woodworking shop, which is one of my favorite places, with my grating and ask if if they can make me a new one. 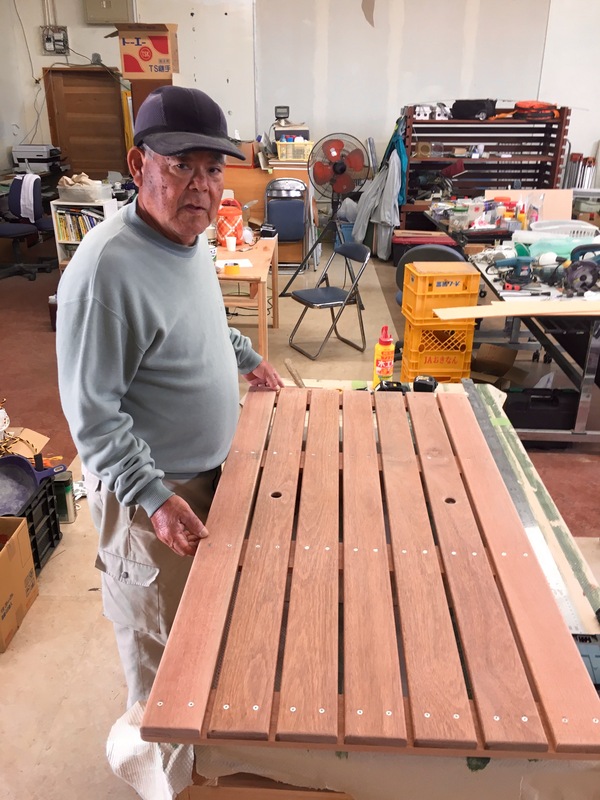 They make me the best grating ever from Okinawan hardwood. I rush down to the boat to place my new grating, repeating to myself tropes of old school craftsmanship that is so difficult to find these days. How lucky I am etc. Er, it is too long. I do not know why, but my friends at the woodworking shop built it 30 cms too long. I take it back and there is the awful atmosphere of proud Japanese confronting the fact that they have failed. I feel so sorry for them. Not to worry, they will fix it. 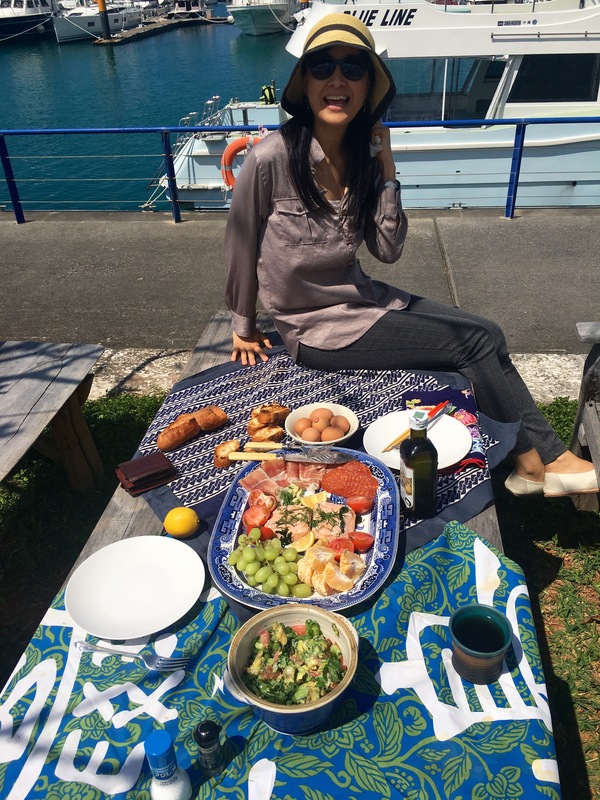 On the positive tack, a perfect picnic at the Marina. Do I espy a couple of tools from the old cutlery cabinet? Be great to think they’ve been out in the sun on the opposite side of the world. The spread looks good with a surprising amount of processed meat – is there a European goodies shop at the marina? Weather looks very good, as does the elegant Tomomi san. Yes, I use the silverware as often as I can. There is indeed an amazing shopping mall just across from the marina where you can get everything. 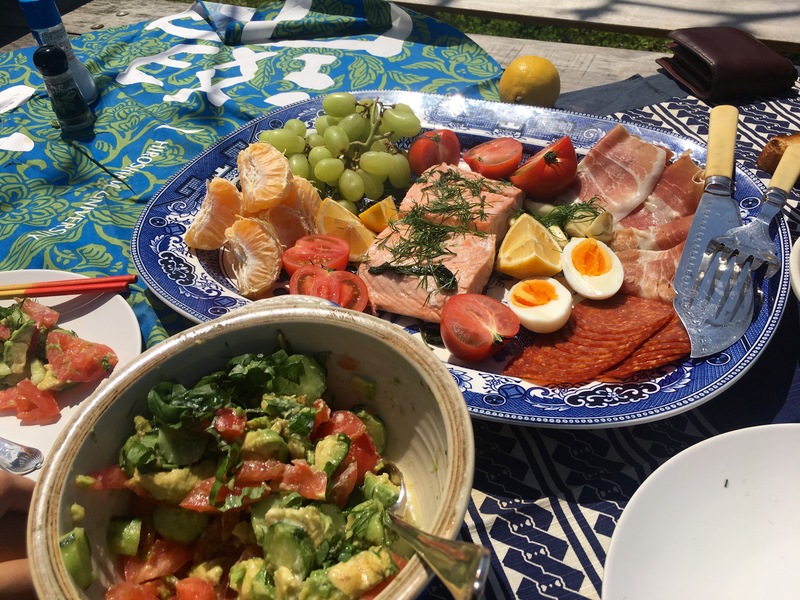 The picnic was not very Japanese, Poached salmon , serrano ham, chorizo, avocado salad, japanese soft boiled eggs. The weather was perfect and the company was better.